Arrive at KEF International Airport and pick up your rental car. Drive to Reykjavik (30 min) for breakfast and a short walk around the compact downtown area to stretch your legs after the long flight before continuing north. Walk through Reykjavik’s compact downtown area, and along the water past the Sun Voyager Sculpture and to the Harpa Cultural Center with its cool class architecture. Visit Hallgrimskirkja church on the hill and take the elevator to the tower at for a great overview of the city below and panoramic views of the area. Walk around the harbor or join a whale watching tour. Spend some time learning about Iceland’s history at the Settlement Exhibition or the National Museum of Iceland. Snack on a world famous hot dog at Bæjarins Beztu Pylsur or hop between cafes. In the evenings enjoy a variety of top-tier fish restaurants and Reykjavik’s nightlife. Once you're ready, drive north from Reykjavik (1-hour drive) and hike to Glymur Falls, Iceland's tallest waterfall (~2 hours out and back). You’ll hike beside a narrow canyon which makes for some great photographs. While you’re in the west, stop by Hraunfossar (“Lava Falls”) and Barnafoss (Children's waterfall), regarded as some of the most unique and spectacular waterfalls in Iceland, where clear subterranean water seeps through the lava fields, pouring out of the rocks, creating Hraunfossar. 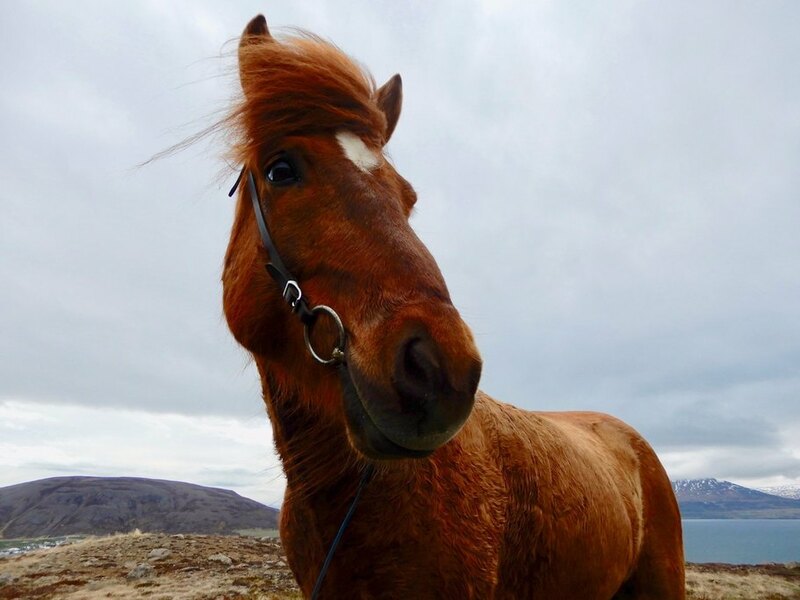 Visit some quaint historical towns like Reykholt and Hvanneyri before finishing your day at Borgarnes on the water. 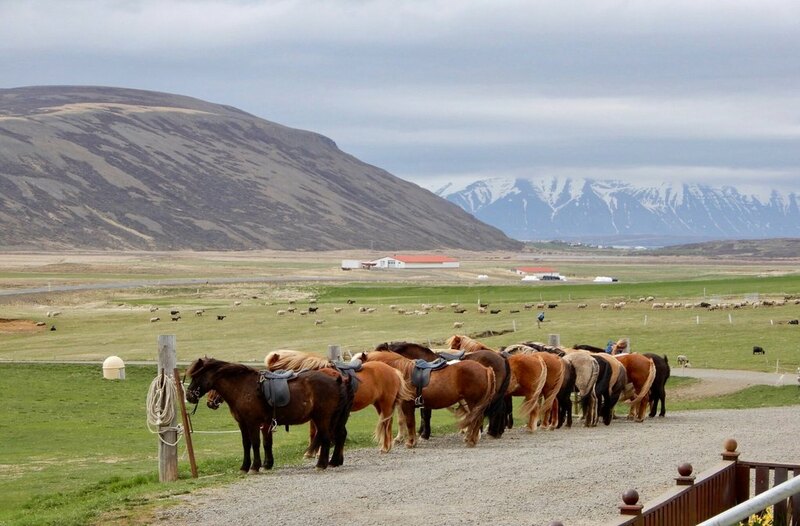 If you like, learn more about the Settlement age of Iceland at the Settlement Center, or walk along the shore path near the water. Some of this places allow for longer hikes. They are all mostly flat (but the ground can be uneven in places). Walk as far as you feel comfortable, you will be impressed by the nature after only a few minutes walking from the parking lots. 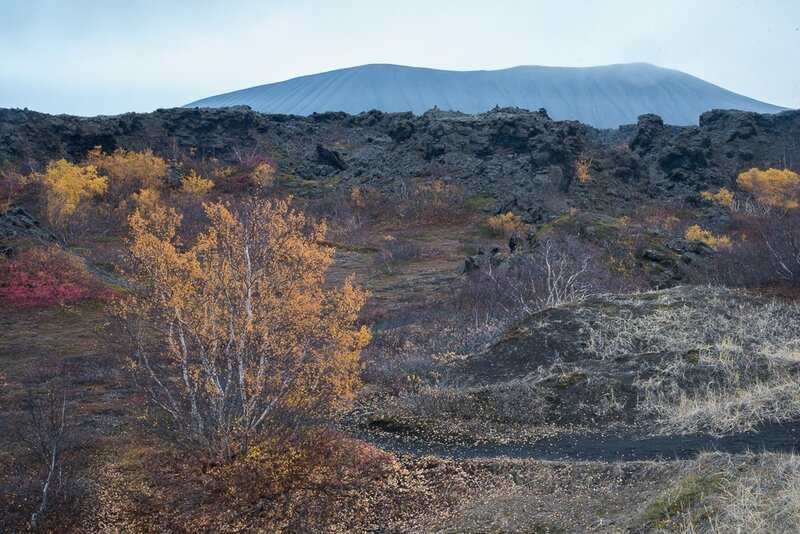 Your first stop will be the Gerðuberg Basalt Cliffs, where strange basalt columns rise up out of the earth. Park the car and walk around exploring and getting a closer look. Next, walk through the start of the Budhahraun lava fields on the coast, covered in moss. Walk along the cliff-side paths at Arnarstapi, where you will see really cool cliffs, lava formations and arches in the rocks. In Hellnar, stop at the small Fjöruhúsið cafe near the water to taste their delicious fish soup and enjoy the setting. Next, you will see the huge Londrangar lava formations, which you can view from afar or walk 15 minutes to see them up close. A little further along the road is the Visitor Center for the Peninsula where you can learn more about the volcanic system and the area. Take a stroll along Djúpalónssandur black sand beach with debris from a shipwreck (cool to photograph the rusted mangled metal pieces on the black sand). Here you will find 4 stones of different sizes. These were used by sea captains to test the strength of people wanting to join their crew. Continue your drive around the other side of the peninsula and end your day with a visit to Kirkjufellsfoss waterfall with Kirkjufell mountain in the background (one of Iceland's most photographed). 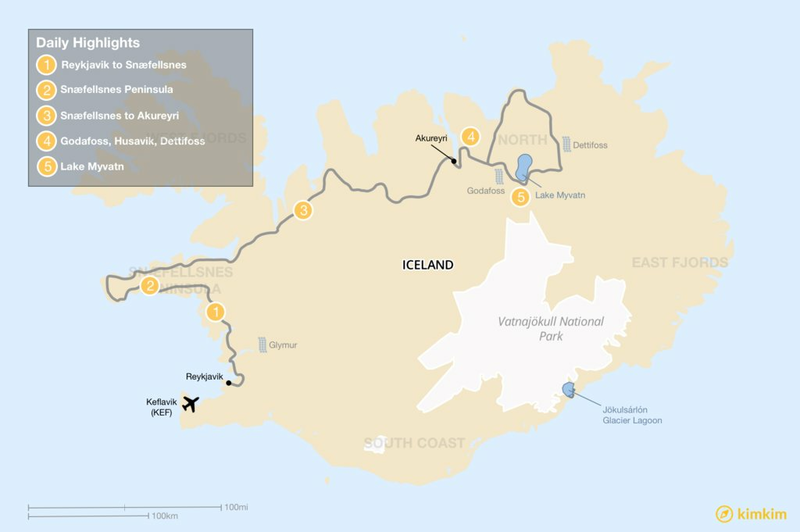 Spend the morning seeing any sights left to see in the Snaefellsnes Peninsula (Berserkjahraun Lava Fields, Bjarnarhöfn Shark Museum) before you re-join the Ring Road heading clockwise towards Akureyri. 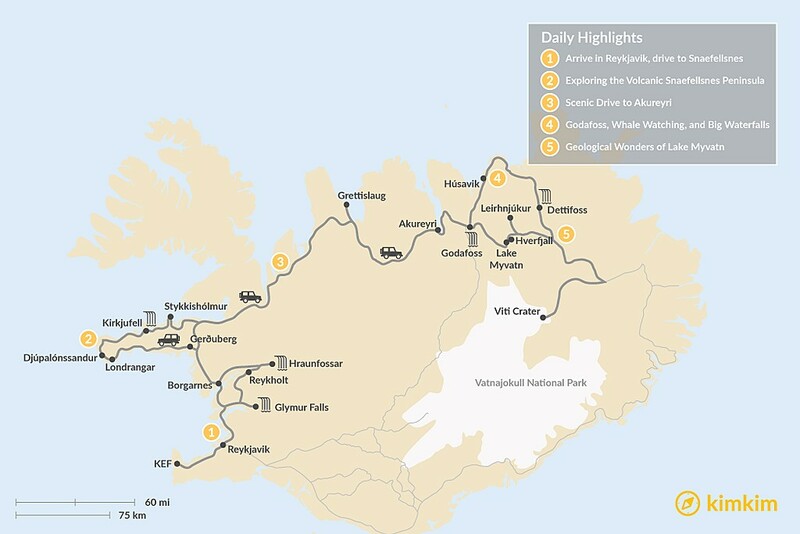 The drive from the eastern side of the Snaefellsnes Peninsula is around 4-4.5 hours to Akureyri. The North of Iceland may be the country’s best-kept secret. 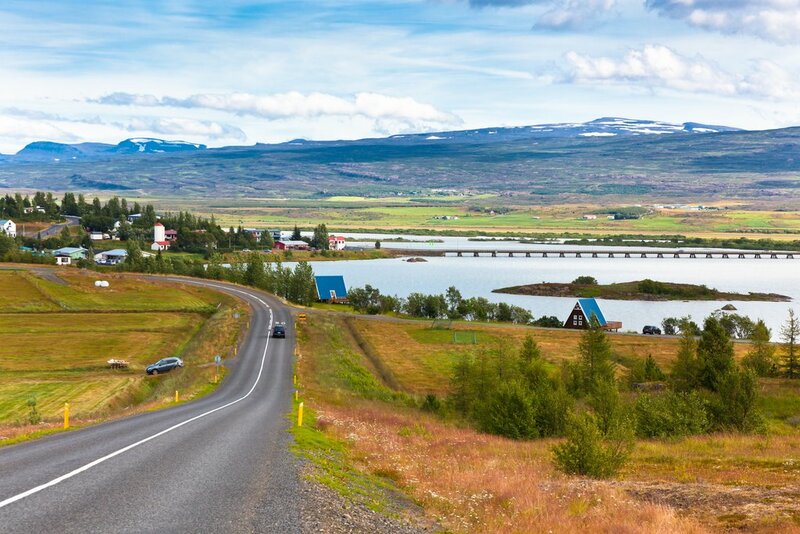 While crowds of tourists populate the South and Golden Circle, visitors to Akureyri and Lake Myvatn can enjoy the beautiful landscapes and wonderful volcanic areas all to themselves. If you have some more time before you arrive at Akureyri, consider a stop at the Grettislaug hot spring (40 minutes off the Ring Road). The spring fits around 15-20 people. Spend your morning exploring the rest of Akureyri’s downtown area before you get on the road (Route 1) towards Husavik and Lake Myvatn. 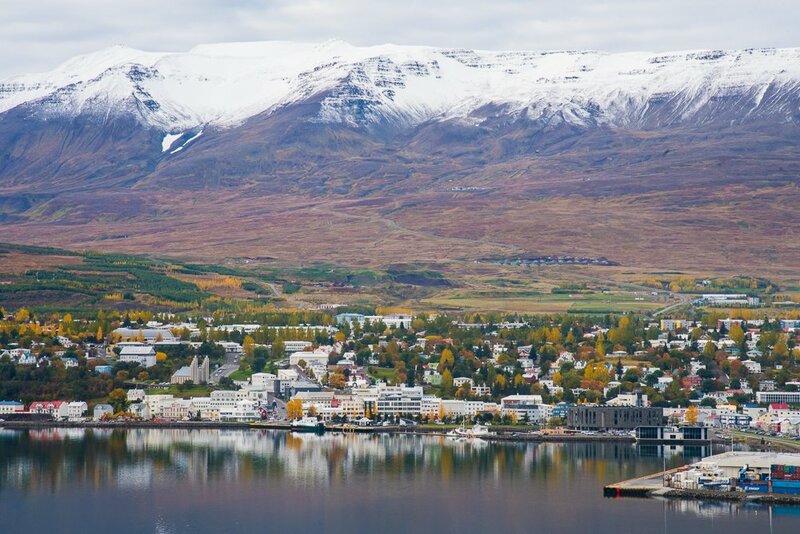 Be sure to take a look back towards Akureyri from the other side of the fjord; you can see the mountains behind the town and it makes for a great photograph. 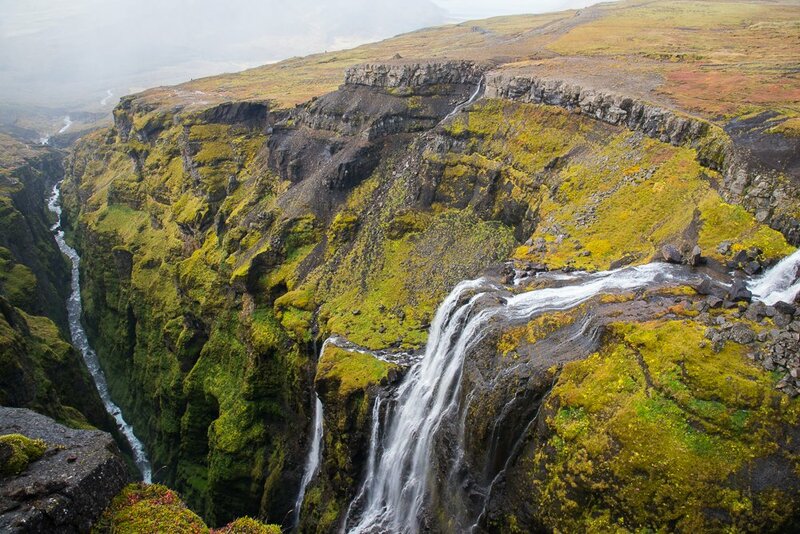 Take the scenic route past Husavik, Asbyrgi Canyon, and the waterfalls Dettifoss and Selfoss. After about 35-40 minutes you will see a Route 85 to the left for Husavik. Stay on Route 1 another couple of minutes to reach Godafoss (you will head to Husavik after this detour). It’s impossible to miss Godafoss, the “waterfall of the Gods”, just off route 1. Hike a couple minutes to see the waterfall up close, or take a longer walk around to see if from multiple perspectives. 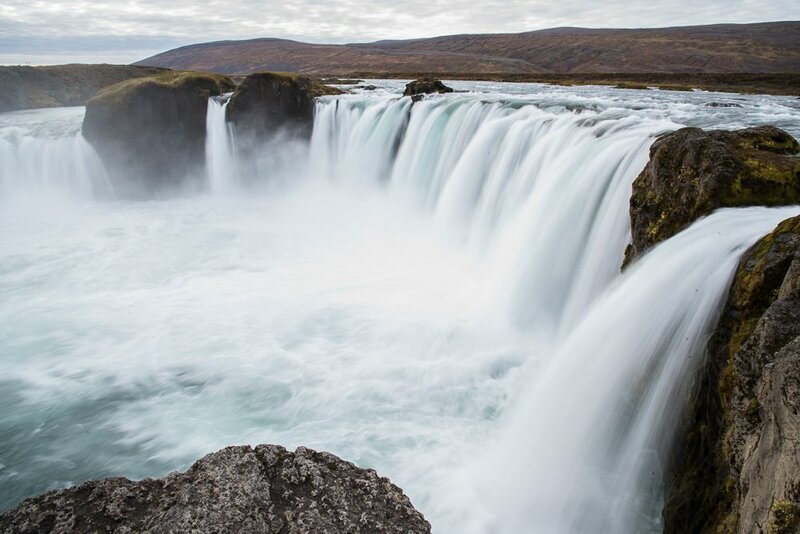 The waterfall was named when Iceland converted to Christianity in 1000. The legend says that when Þorgeir Þorkelsson, local chieftain and law speaker, made the tough decision to convert the country from the old nordic gods to Christianity (in order to prevent war) he threw the old gods into the falls to symbolize the change to the new era. 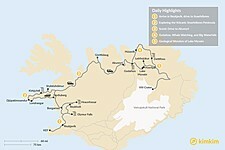 Continue back to the Route 1/85 split and drive another 35 minutes to Husavik, the whale watching capital of Iceland. 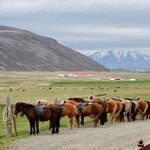 Unlike in other regions where you must sail a while to find whales, Husavik often has whales, porpoises, and seabirds a few minutes from the harbor. Join a tour on some newer, carbon-neutral ships that are quieter (nicer for whales) and don’t pollute the environment (nice for everyone). We recommend North Sailing, right on the harbor (the entire building, restaurant, and cafe was made from recycled wood). Note: the rides can be pretty bumpy. Check out the whale museum and the church by the harbor before further exploring the region. A 30-minute drive from Lake Myvatn (or on a loop from Husavik and Asbyrgi) brings you to Dettifoss, Europe’s most powerful waterfall. A 15-min hike upstream along the basalt cliffs and you will encounter another giant: Selfoss. Accommodation: Spend the night around Lake Myvatn. You can skip Dettifoss and Selfoss and take it easier by sticking to the Lake Myvatn area if you like. The area surrounding Lake Myvatn has the highest concentration of volcanic and geothermal sights in Iceland. 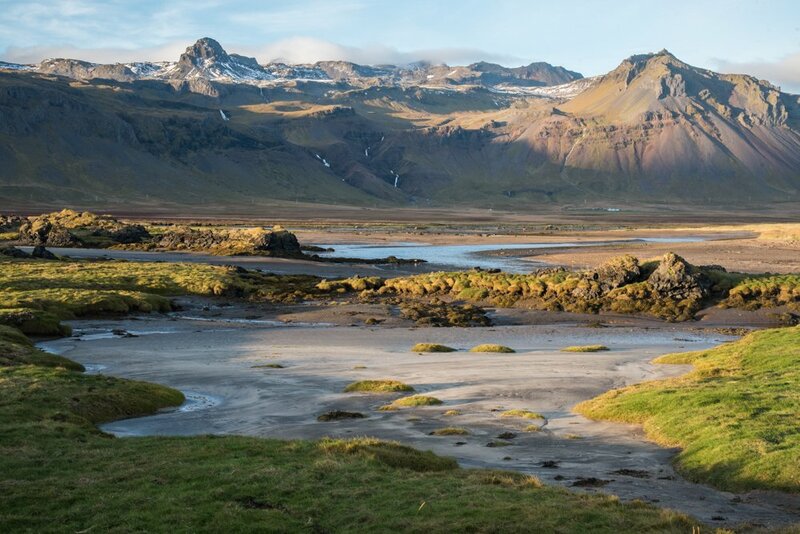 In one day you can explore pseudocraters, rock formations, lava fields, hike up and around a volcanic crater, dip in a thermal pool in a cave, see mud pools and steam vents, see a lake in a volcano, hike a lava area from another world, and finish the day relaxing at the Jarðböðin Nature Baths with a view over all you just accomplished. The following sights are listed in roughly in order as you would approach from the western side of the lake driving counter clockwise. These pseudocraters were formed by when hot lava flowed over the wet marsh area causing steam explosions. Take an easy 1-hour walk among many pseudocraters on the shores of Lake Myvatn and loop around the smaller lake Stakhólstjörn. You can hike up to a few of them or just walk around them all. Enjoy the nice views across the lake where you will see steam rising from the geothermal areas and other volcanic craters in the distance. Take a 1-hour walk beneath large, strange, contorted lava formations caused when lava flows cooled. You can see the start of the formations in only 5 minutes or hike the small loop in 15 minutes. Or, take your time and walk the bigger loop (2 miles) where you will see Kirkja (“The Church”), a natural lava formation that resembles a vaulted church arch, and a nearby cave a bit further. This Cinder Cone is hard to miss from anywhere around Lake Myvatn. Climb up the side for a great view of the surrounding area where you can see the Skutustadir Pseudocraters and steam from the Jardbodin Nature Baths and Hverarond Geothermal area. Note: You may want to save this after some of the other places listed below. You will have to backtrack a bit, but it will let you relax at the end of the day rather than hiking more afterwards. Relax in the Jardbodin Nature Baths, the North’s equivalent of the Blue Lagoon, but with fewer people, cheaper prices, and better views. You won’t find all the spa extras that you do at the Blue Lagoon, but you will find a couple large geothermal pools, a sauna, and a steam room. You can enjoy views down over the lava fields and the craters around Lake Myvatn as you sit in the mineral water. As you leave Lake Myvatn heading East along the ring road your first detour is the Hverarond geothermal area. Here you can walk around various bubbling mud pits, and steam vents, admiring the interesting red and orange colors. Exploring the entire area takes 30 minutes to an hour. Drive past the Krafla power station (also worth a stop) and you will find the Viti crater, part of the Krafla volcanic system. This crater is filled with a bright blue lake. Head back to Akureyri to catch an evening flight back to Reykjavik, or spend another night and fly back the following morning. Looking for alternative self-driving trips? 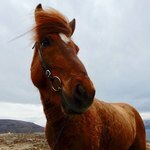 Read more about unique ways to explore Iceland in 5 days. It would be great if kimkim could provide google maps links that provide a driving route. I manually created google maps routes each night for the next day- although i am fine with doing it, but i dont think other folks would have been ok with tackling that activity. The manual entry was challenging with the spelling of icelandic destinations. Chris' trip was outatanding, and I greatly appreciated how he went the extra mile to find a riding tour that was appropriate for my wife's riding experience. 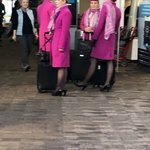 It was a highlight of the trip!